Thanks to Android’s partnership with Valve, Half Life 2 and Portal are coming to the Google’s online store and will exclusively work on the Nvidia Shield. 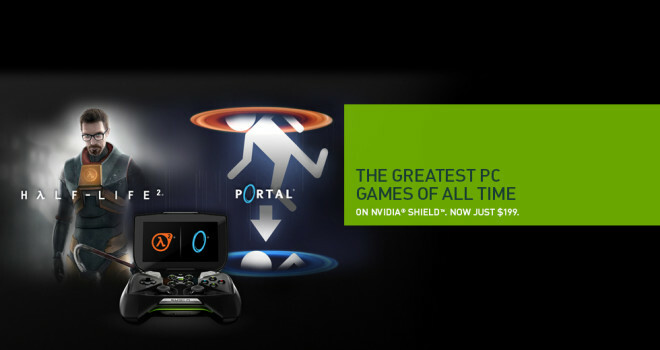 Although it is technically already possible to stream Portal and Half Life 2 from your home PC to the Nvidia Shield, these ports will be running natively on Nvidia Shield’s hardware, making it Valve’s debut on the portable system. The games are being priced at $9.99 with the Nvidia Shield now at $199. And in case you’re wondering, no, I’m not going to make a Half Life 3 joke.